Global health arguably represents the most pressing issues facing humanity. Trends in international migration and transnational commerce render state boundaries increasingly porous. Human activity in one part of the world can lead to health impacts elsewhere. Animals, viruses and bacteria as well as pandemics and environmental disasters do not recognize or respect political borders. 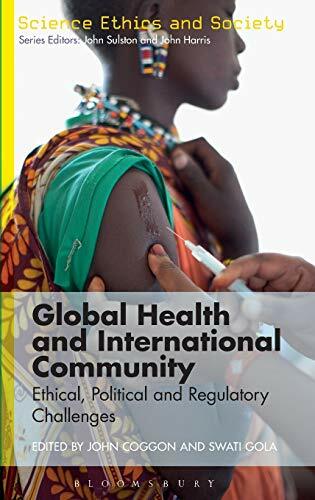 It is now widely accepted that a global perspective on the understanding of threats to health and how to respond to them is required, but there are many practical problems in establishing such an approach.<br /><br />This book offers a foundational study of these urgent and challenging problems, combining critical analysis with practically focused policy contributions. The contributors span the fields of ethics, human rights, international relations, law, philosophy and global politics. They address normative questions relating to justice, equity and inequality and practical questions regarding multi-organizational cooperation, global governance and international relations. Moving from the theoretical to the practical, <i>Global Health and International Community</i> is an essential resource for scholars, students, activists and policy makers across the globe.